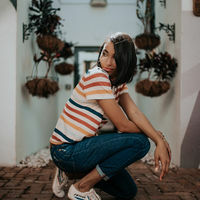 Feiyue is looking for stylish, fashion forward influencers for Spring content! DESCRIPTION OF THE PRODUCT: Feiyue = Flying Forward / Dual elevation of body and mind. Feiyue is about an attitude and a vision of life. It's about exploration and the desire to experience all aspects of life by taking the next step to fly forward. Our creative DNA lies in clean, simple, classic and timeless silhouettes. AIM OF THE CAMPAIGN: Feiyue is looking for influencers to create fall/holiday content shot in the trendiest spots across the US! She wears her Feiyue's with her simple look but always adds that accessory to make her a little more edgy, confident and different. WHAT LOOK/FEEL/STYLE OF POST ARE YOU WANTING? Fashionable, trendy, stylish, chic. 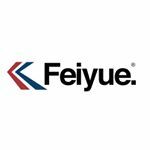 DESCRIPTION OF THE PRODUCT: Feiyue = Flying Forward / Dual elevation of body and mind. Feiyue is about an attitude and a vision of life. It’s about exploration and the desire to experience all aspects of life by taking the next step to fly forward. Our creative DNA lies in clean, simple, classic and timeless silhouettes.